Due to last nights late arrival in Luxembourg, we decided to try and make up time with an early start. Thankfully we had already researched a parking station close to all the sights we had shortlisted. Once reaching the city our first priority was breakfast. We found a great cafe almost straight away. We experienced some challenges when ordering in Belgium as menus are obviously not in English. Keith downloaded a pretty clever app called “World Lens” (Thanks to the Warringtons for the tip – K). To use the app you hold your camera over the menu and it translates the words to the screen – brilliant! Using the app, we ordered for the first time confident that we knew what was coming out. The other app we have is an offline translator. You can type in words or sentences, and show the person you are trying to talk to. This meant we could ask for our eggs to be cooked all the way through! Breakfast was amazing. We are finding in Europe that whilst things appear more expensive than home, the value for money is also better. For example, if you order a coffee anywhere in Europe you also are given a piece of cake or a biscuit – Keith is loving it. 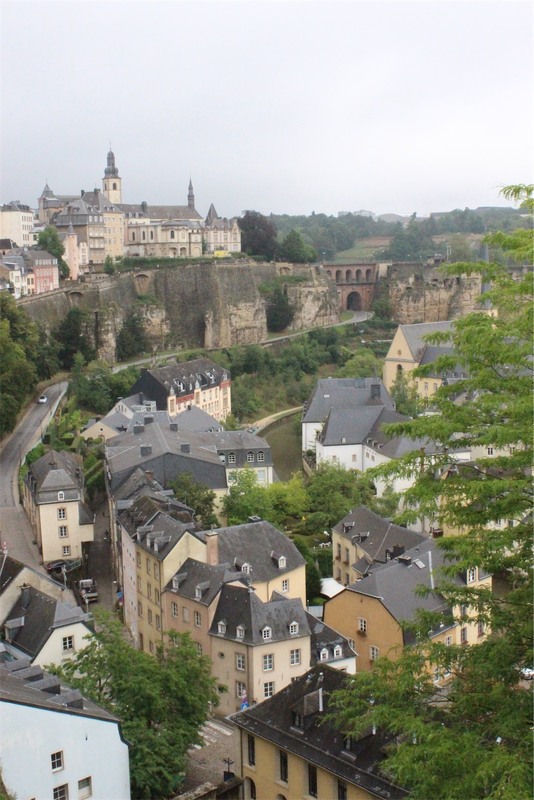 So after our bacon, eggs, home made baked beans and fruit salad, we walked around the Luxembourg city loop. 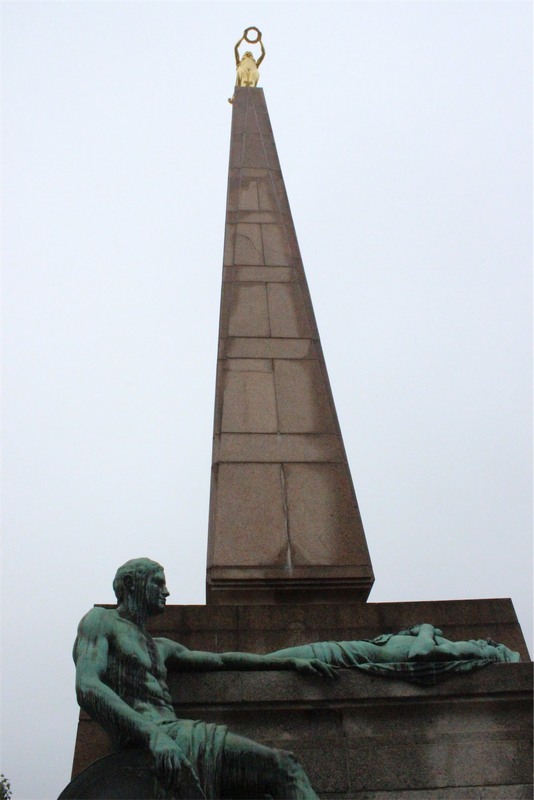 It surrounds an amazing park with manicured gardens and some pretty impressive buildings. The thing that strikes you most about the city is just how well it is maintained. The older buildings are in fantastic condition and it’s so clean. It was now time to drive to Heidelberg, which proved challenging. 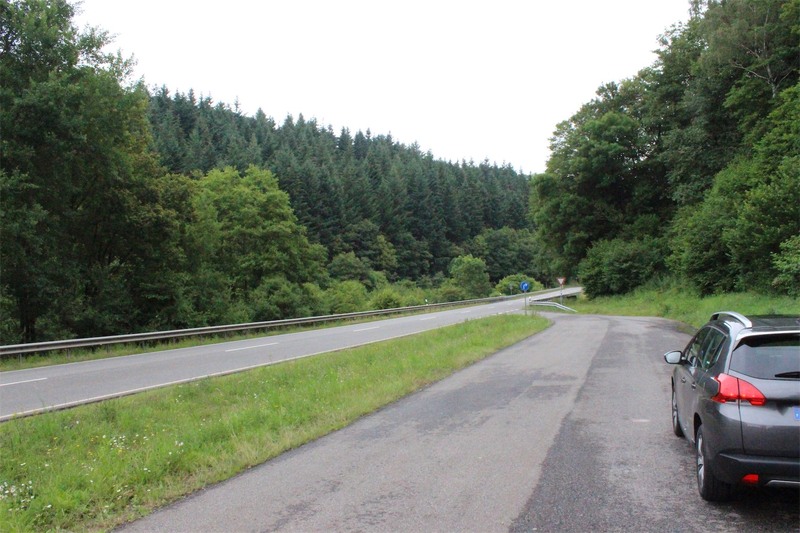 The Autobahn was closed, as was the other major highway. Seems like common sense about road infrastructure is hard to find overseas as well. Why close both at the same time? After confirming with a young girl in a service station it became clear we had to take the scenic route. At first we were a bit annoyed because the trip should have taken 2.5 hours, now it was likely to be 4-5!!! Our annoyance soon gave way to excitement. We were driving through country Germany, seeing the most amazing little villages and incredible scenery. Honestly we both believe it was the best thing that could have happened. We did face a challenge with the inbuilt GPS in our car. It did not have the ability to choose a route that ignored highways – tricky. Luckily we had purchased an internet wifi hotspot before we left that works in 90% of the locations we are visiting! We were able to connect and use google maps on Bec’s iPhone. Once you load the destination you can turn the wifi off and it will use GPS. Thank goodness we had both, it would have been an interesting day otherwise. Without these options we may have had to resort to the old school map *shudder*. 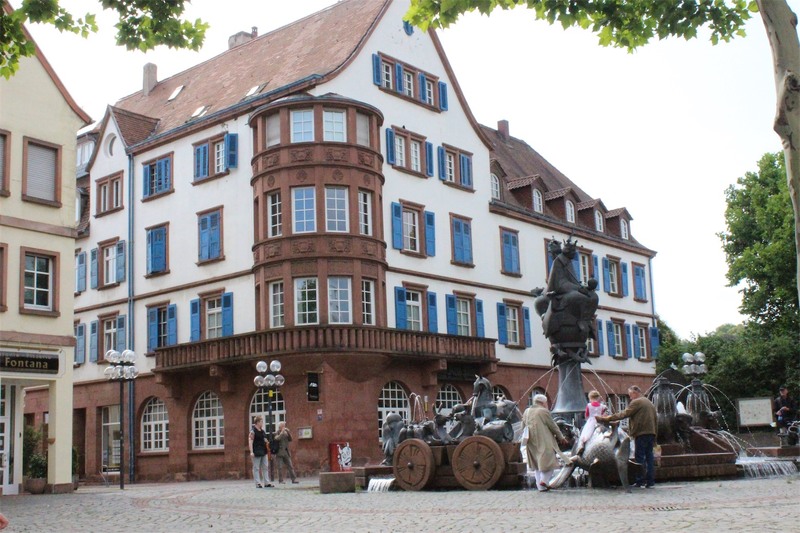 We finally arrived at Heidelberg. The weather wasn’t great, but after being in the car all day we were both keen to get out and walk around. 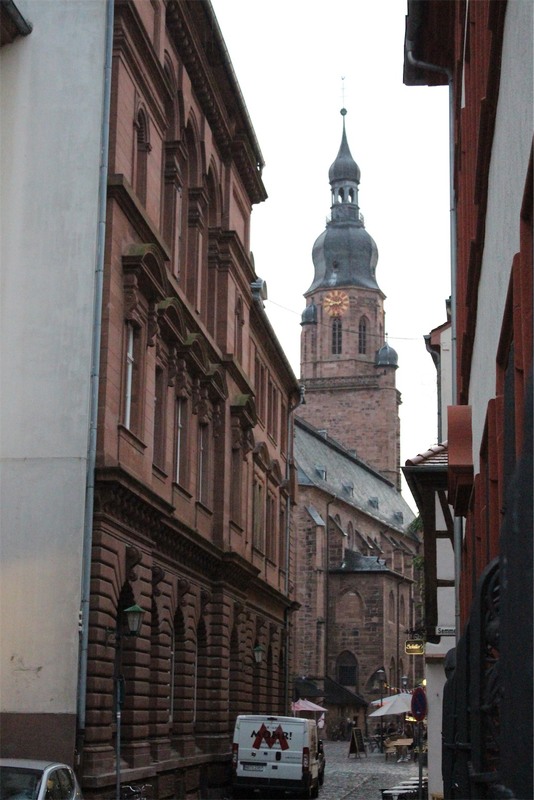 As we were loosing light fast, we got a cab into Altstadt (Heidelberg’s Old Town). 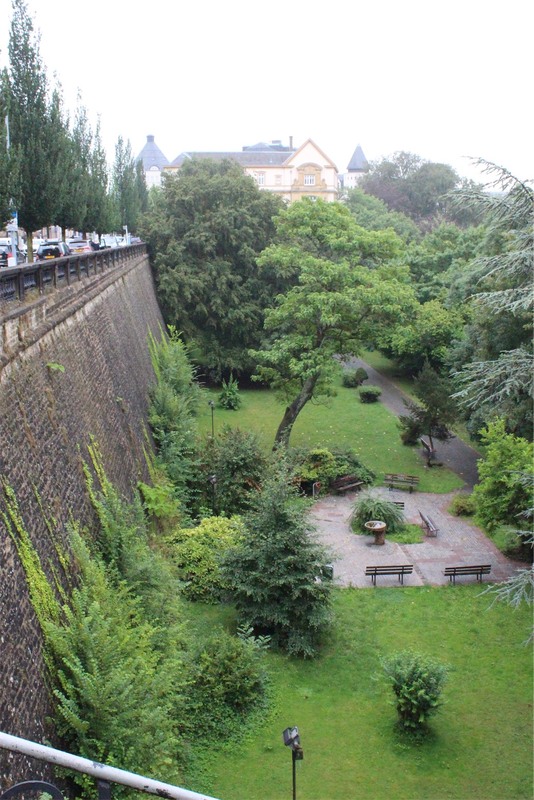 We had heard mixed reviews about Heidelberg and it was easy to see why. Driving in the taxi to Altstadt the contrast between the ‘haves’ and the ‘have nots’ was evident. It wasn’t the nicest town we’ve seen to date. Discussing it later, we decided we wouldn’t recommend it as somewhere you need to visit. After a long day we had a beer and a wine in a traditional German pub and then went back to the hotel and crashed out.